testimonials — Auto Mobile Valet, Surrey's premier valeting and detailing service. We take as much pride in our work as we do in our reviews and testimonials. 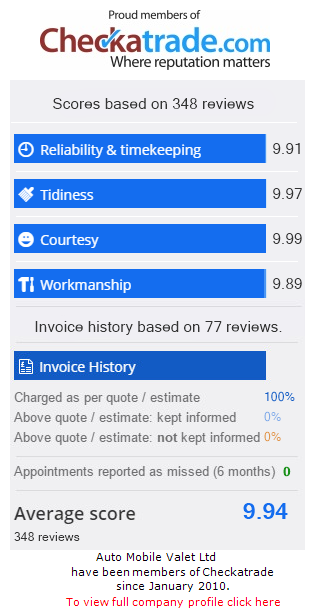 Our Checkatrade page has over 100 independently verified reviews with an average rating of 9.9/10.